Have you heard the saying that, ‘a rising tide lifts all boats?’ That is something we believe to be true. For concrete to reach an ever broadening market segment and be received and regarded as one of, if not the premier artisanal materials, concrete must be fashioned at a master level. This is the intent of our training; to elevate the level of design and craftsmanship of professional and aspiring professionals so that the potential and value of finely produced concrete can be realized, benefiting all involved in this industry. Since 2005 more than 1,100 Artisans have chosen to attend training workshops with Concrete Design School! There is a reason why so many have placed their trust in us when it comes to learning the Art of High-End Concrete. The Difference is Experience, Experience the Difference, register for a hands-on workshop today! For the last 14 YEARS we have spent every day creating custom concrete pieces for high-end clientele. Our primary business is running two successful concrete businesses - this is what makes our workshops different and relevant. 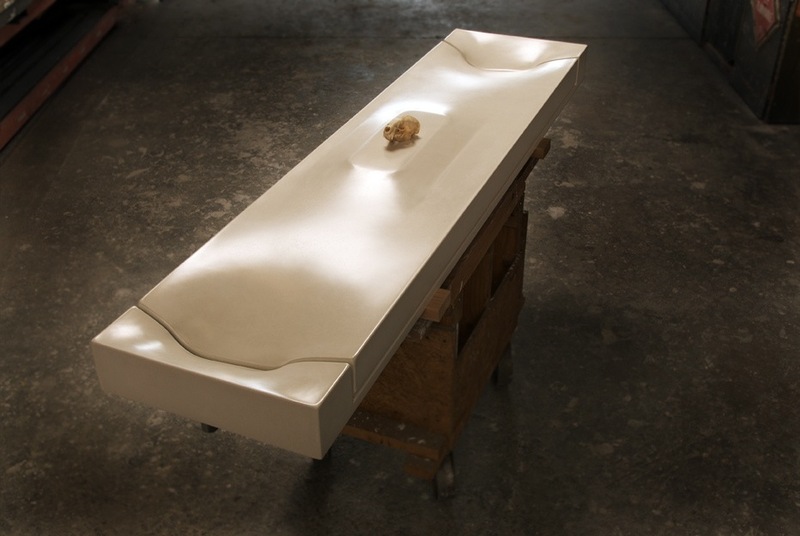 The Erosion Sink / by Gore Design Co.
Fabric-Formed Wall with Integral Countertop / by Gore Design Co. The San Andreas Table / by Gore Design Co. Concrete + Steel + Wood Dining Table / by Gore Design Co. The Fern Table / by Gore Design Co. Triple Basin Concrete Trough Sink / by Gore Design Co. If you are going to spend money on a class you should learn the most up-to-date techniques and insights. What sets our training apart is the relevance of our information. We operate two successful and award-winning concrete businesses and have the current, real-world experience and knowledge needed to teach you what it takes to make it in this profession today - when it's all said and done, isn’t that what matters most? Concrete Design School offers the most valid and preeminent training available anywhere. We teach the skills required to achieve the results expected at the highest echelon of architecture and interior design. Design: We create a unique piece in every class, we never make the same thing twice. Additionally, we discuss ways you can develop and improve your own individual and marketable style. Tools: The advancement of tooling used in the manufacture of concrete is rapid - we use the most cutting-edge tools in our workshops. Materials: What we use for client work today is different than what we used a year ago. We'll cover the current materials for the best performing concrete - the same we use for our projects. Methods: The methods used to create high-end custom concrete is paramount, and no other training program has more real-world experience than us. Business Practices: Proven processes for operating a successful concrete business. Fabric-forming and GFRC (glass-fiber reinforced concrete) are two topics we are passionate about. We introduced GFRC concrete countertops and sinks to the industry in 2005 when we taught the very first class on the subject. In 2008 we shook things up again by teaching the first workshop on fabric-forming for concrete sinks and countertops. If you are interested in mastering fabric-forming and/or GFRC, this is the class for you. 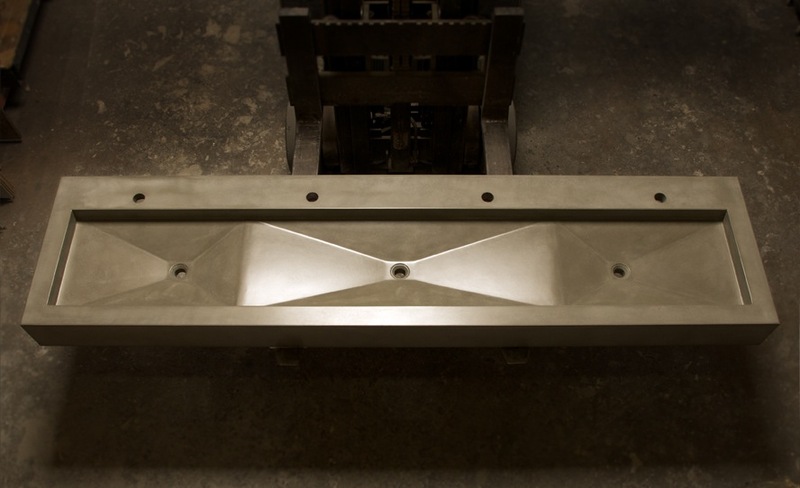 Invest in yourself, invest in your company, and learn from the preeminent pioneers of fabric-formed concrete and GFRC for concrete sinks and countertops. Furniture design and craftsmanship are at the forefront of the maker movement. In this workshop, Brandon Gore will cover design criteria for furniture, the basics of concrete, form construction and how to mix, cast, cure and finish concrete. If you are an aspiring furniture builder or you just want to learn how to create pieces for your home or business, then don't wait, enroll today. Dusty Baker has risen the ranks of concrete craftsmen to be considered one of the best in the world. His signature technique that he developed and refined is the benchmark for high-end rustic concrete. In his intensive hands-on workshops you will learn how to sculpt, cast, carve, color, and seal concrete to create the unmistakable end result that is Dusty-Crete! Watch a great short film about Dusty that really captures what drives him and the amazing end result. 15 years of uninterrupted, focused work lead to this workshop. More than 50,000 hours of trial and error. If you want to learn how Brandon Gore is creating client commissioned work today, then this is the class for you! As a group we will assemble and cast a post-tensioned concrete piece. Additionally, all modern relevant techniques will be discussed, as well as what doesn't work, and why. Many of the methods that we first taught over a decade ago have drastically evolved or been eliminated from our approach to fabricating our designs - many of those same antiquated procedures are still being taught by other companies. There is a reason we do things differently today, come find out why. As Coldplay says in their song 'The Scientist', "take me back to the start." That is what Jon Schuler will do in this workshop. He will fuse the world's absolute most cutting edge ultra-high performance concrete mix designs with the most fundamental of concrete skills - working with a trowel to create advanced finishes! This class will greatly increase the looks and aesthetics you can offer to your customers, which will in turn yield more business and higher profit margins. You can do this, Jon Schuler will teach you how! We respect your privacy. We will never sell or share your information with anyone, ever. Scouts honor.